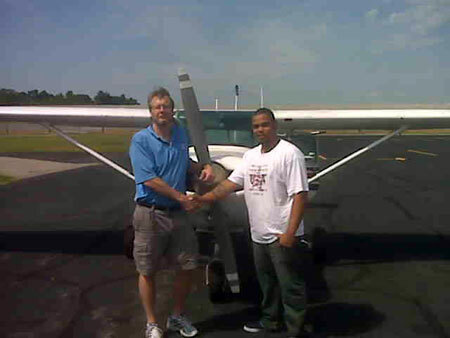 David Clarke with Designated Pilot Examiner Greg Hudson after completing his private pilot practical test at Henderson/Oxford KHNZ airport on Friday, July 1 2011. Congratulations David!! 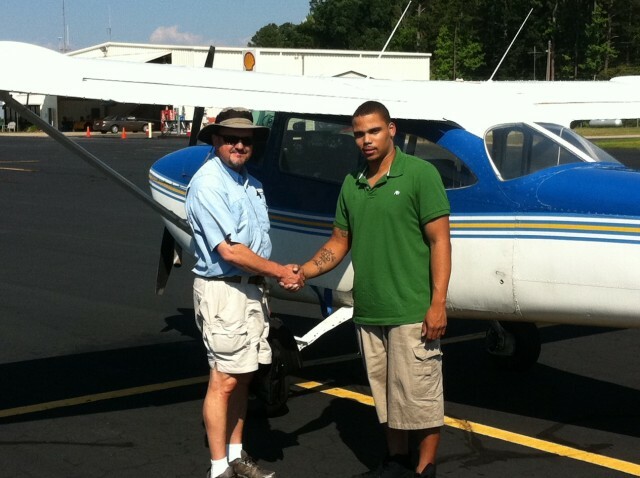 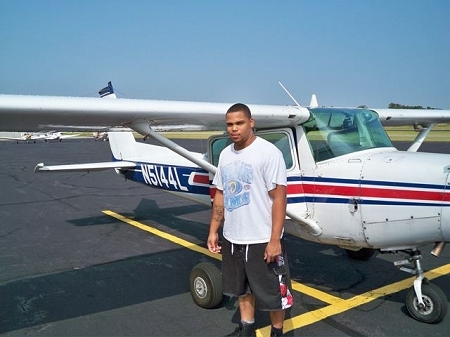 Pictures below are of David after a flight at the Henderson-Oxford Airport in North Carolina. David Clarke and CFII Chris O'Connor after his first solo on June 29, 2010.